The Atlas Program has two outputs: content and capability. 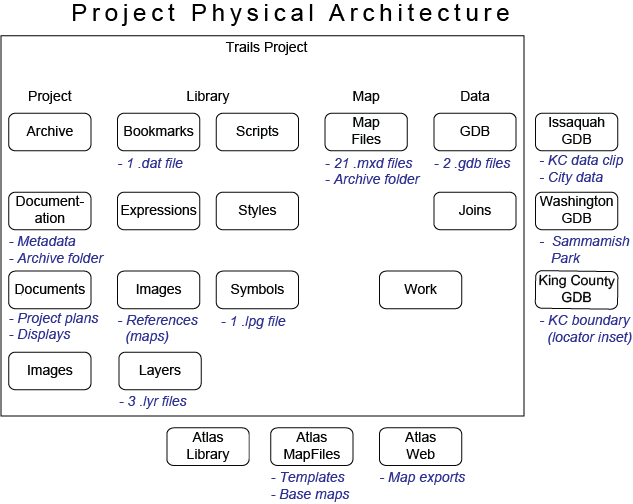 The content of Atlas is provided by projects. 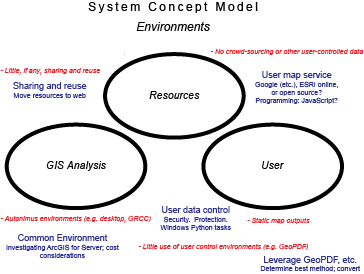 The capability of Atlas is provided by its system. 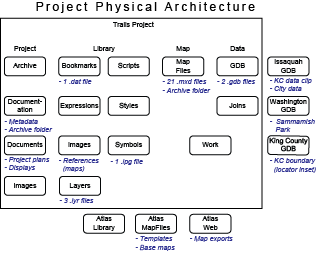 The System of Atlas is described by its architecture. 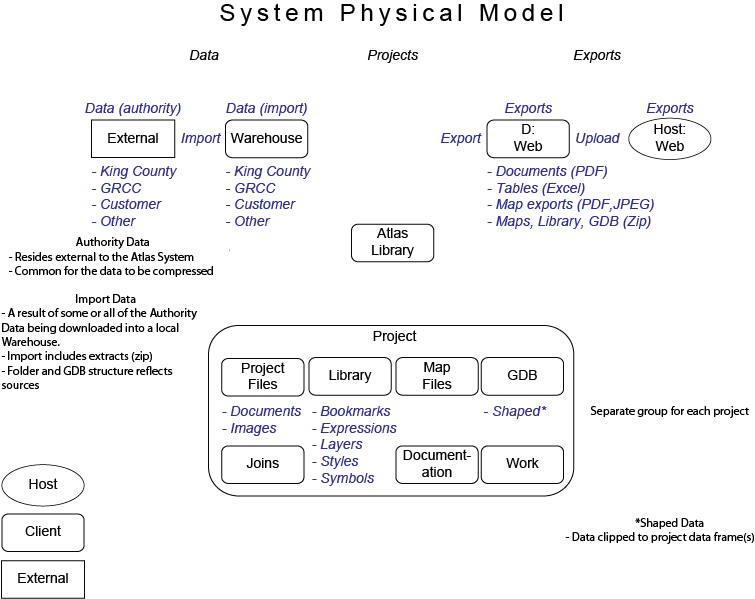 The Atlas Architecture, starting with a context diagram, includes the models used for the Atlas overall system design. The Atlas System documents are being updated. 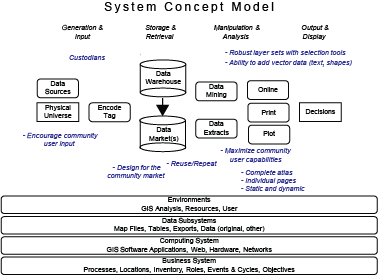 The Data and Map structure, Process, and Scenarios will probably be consolidated with the Atlas System Architecture document. They are included here as background. 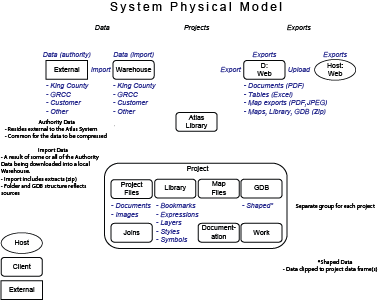 This notional concept diagram describes the data and information flow from Input to Output & Display. Atlas is initially focused on the display end of the spectrum but is open to opportunities to enhance data input encouraging community user input. It's expected that the custodial services for the data warehouse will be provided by Green River Community College (GRCC) with data market(s) established as needed for the community being served. Data mining and extracts are initially intended to be provided by GRCC while output and display will be provided jointly by GRCC and the UAC. 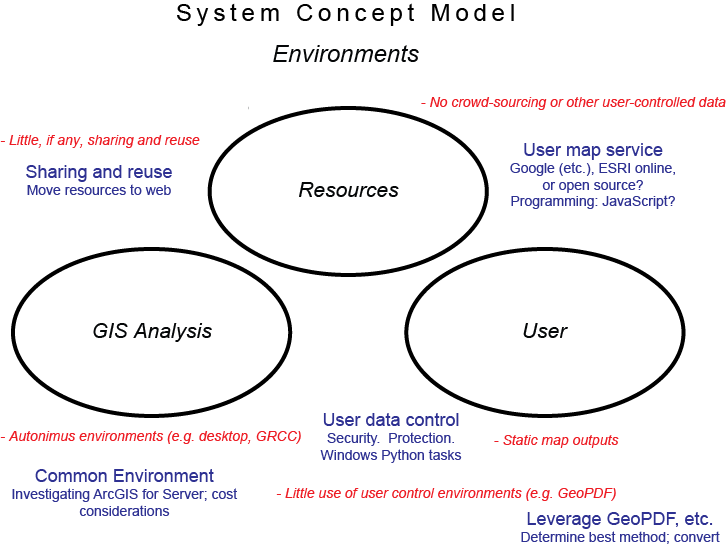 In alignment with the design of GIS, outputs are to include robust layers with the ability of users to make layer selections. One method discussed would be to preserve GIS layers in Adobe Acrobat. 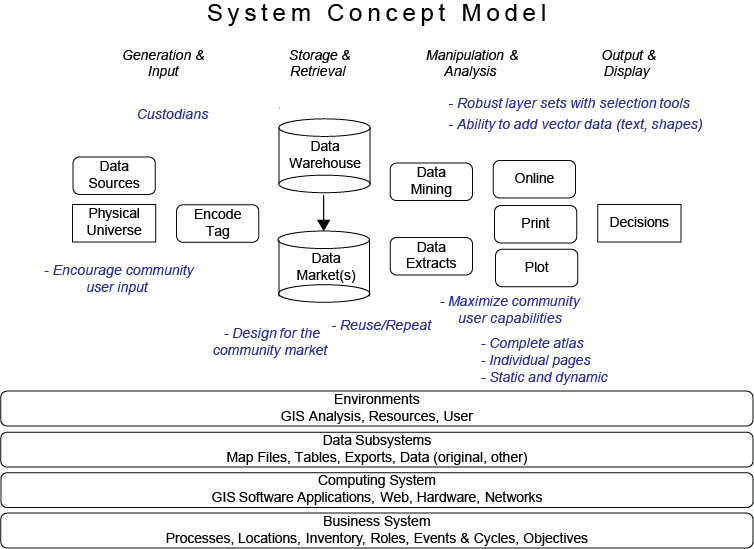 In general the intent is to maximize community user capabilities to give users maximum flexibility and to provide broad enhancement of Atlas system capabilities. The intent is to also provide the capability to add add annotation (text, shapes, etc.) to the maps. This will be useful, for example, for activities like the "map your neighborhood" phase of neighborhood emergency planning. Additional user capabilities include layer manipulation (display, order) via Acrobat Reader and direct access to the native map files (e.g. mxd) via ArcReader Explorer. These are particularly important skills to Atlas capability maturity.